March 15 2018. Weather prediction (as of March15 2018) for Race Day at 8 AM [race starts at 7:45]: Sunny, 34 degrees 67% humidity winds 2 mph S—That's one forecast I would love to lock in, especially the wind speed, given an average this time of year (and experienced this week) in the double digits. Showers are now supposed to kick in around 3 pm on Saturday. But keep an eye out, the forecast has been rather variable on wind and even rain although there was never a forecast of more than showers. This is my final preview for Records, Age-Grading and Overall contests, based on the 195 runners entered as of Wednesday. The Shamrock crew is keeping entries open so late entries could upset the apple cart. 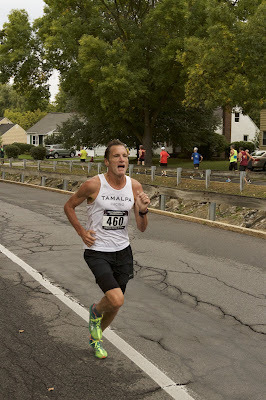 I will try to give some updates tomorrow on the Age Division races. There will definitely be some outstandingly competitive races, with a good chance for at least one American Record! RECORD WATCH. Libby James owns the 5K and 15K American Records for the 80-84 division, not to mention the 5K, 10K, 12K, 10 Mile, and Half Marathon records for 75-79. She entered last year but had to withdraw due to illness just before the race. She is recovered now, as evidenced by her running 26:55 at the Freihofer 5K and a 55:10 in the FORTitude 10K in her hometown of Fort Collins CO (at altitude). In 2016 she broke Anne Clarke's 1990 record by 5 minutes! Clarke also holds the 8K record at 52:00 set in 1991. The likelihood of that record standing after Saturday is about as small as you can get! 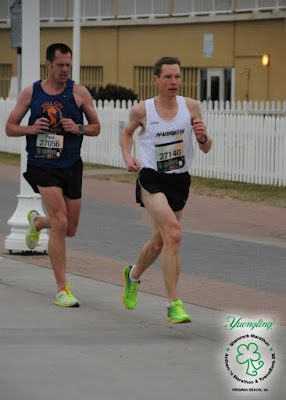 Last year Brian Pilcher was coming off of a stress fracture and still came within 7 seconds of 28:07 set at the precursor of this Shamrock race in 1993. Ordinarily that would make a record attempt this year nearly a sure thing, but he missed much of last year with a hamstring injury in September as he was training up for an appearance at the 5K Championships. So where is his fitness now? I am not sure. In the past, though, when coming back from an injury, Pilcher has come to races before he is fully fit--the man loves to race! So I am guessing he will need a race or two under his belt before he can really chase records--although with Pilcher, you never know! He took down the 5K record one week before cracking the Half Marathon, 25k and 30K marks on his way to matching the 60-64 Marathon Record. AGE-GRADING. Age-grading allows us to compare times over all ages in terms of how close they are to the fastest a person of that (single-year) age should be able to run (generated from statistics on 'World best' times at different ages and distances. The closer to 100 the better the time; the Masters LDR Committee uses the terms World Class for 90+, National Class for 80+. I am starting a campaign to start using the term 'International Class' for the Grades from 85 up to 89.99. [The reference to think about is an international meet like Pan Am Games or USA vs. Jamaica or Great Edinburgh XC where the US goes up against the Brits and the Europeans. Being in the hunt to qualify for those kinds of meets for an Open Athlete would be like having an 'International Class' time.] Enough background--who are the likely contenders? The men's side includes two of the top 3 from last year, Brian Pilcher, 61, and Nat Larson, 55, who scored 92.3 and 91.4 respectively, as well as Kent Lemme, 51, Mark Hixson,52, and Tom Bernhard, 66, who all scored between 89.0 and 90.1. The uncertainty about Pilcher's condition should make Larson the favorite among the returning runners but I learned that Larson tweaked his hamstring last week. Will that make a difference? Lemme has been running really strong over the last six months. That 89.0 for Bernhard last year is rather low by his standards; he had knee surgery in the winter and then was traveling in Japan so his fitness was off early in the year. So I am looking for a higher score from him. Who else might figure in/ Three names form the Status of Entries who were not here last year need to be considered: Doug Goodhue, 76, Tom McCormack, 64, Roger Sayre, 60, and Joe Sheeran, 60. Goodhue was a fixture on the age-grading podium up through a couple of years ago where some leg problems started to sideline him from time to time. He is currently on the recovery trail so nailing a top age grade is not on his list; he is running for the team. McCormack knocked down the American 5K record in 2014 but in 2015 ran into injury. problems that have kept him away from the Championships circuit. We were set to welcome him back to the fray but there was a flare up a couple of weeks ago and his return is off at least until the 10K in Dedham. 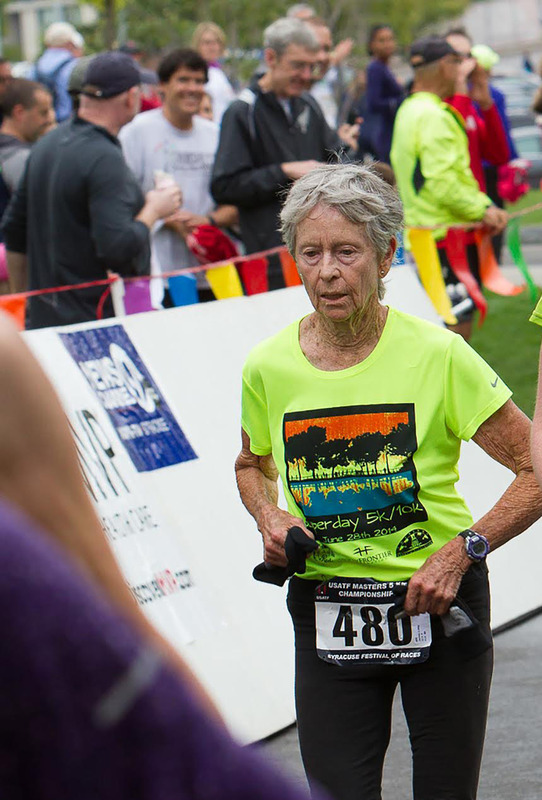 Sayre and Sheeran are new faces on the Road Race circuit, despite their age and prowess. 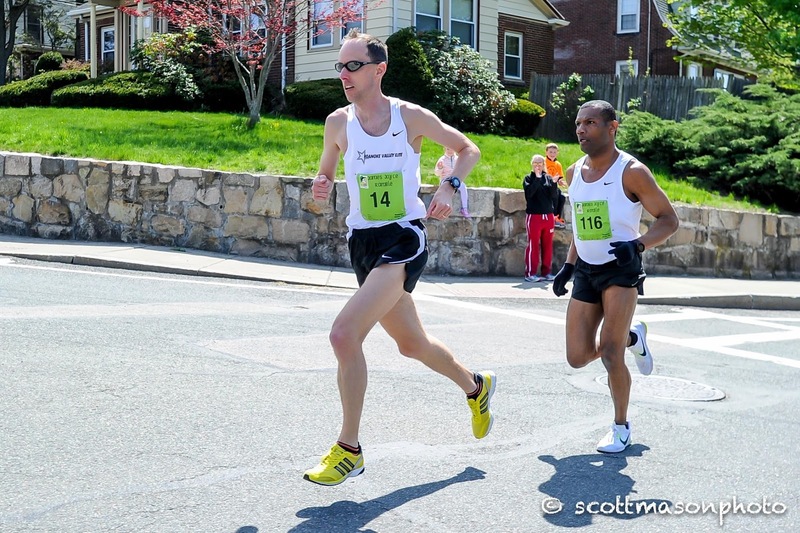 Sayre popped into the 15K Championship last October and topped both Lemme and Bernhard in age grade. He was still 59 for Club XC so ran the 10K while Sheeran was running in the 60+ 8K for the first time. Different races but Sayre's age grade was better than Sheeran's. Sheeran is well known as a tough runner at Cross Country Championships, but has not participated much in Road Race National Championships. He had the top age grade in the 60+ race at Club XC in Lexington this past December, a race in which he was not pressed. Since both Sayre and Sheeran are both 60 now, whoever wins the race between them gets the better age grade. I have been told that Sheeran is the better racer--time will tell. It will be one of many great races to watch! Marisa Sutera Strange and Doreen McCoubrie are the top women returning from the 2017 age grading competition here, at 93.7 and 92.2. Their teammate, Mary Swan, scored 90.0%. Strange had some minor injury issues that kept her out of the 1 Mile Championship and slowed her down at the 5K and over the Cross Country season. Despite feeling somewhat off her game, Strange finished 2nd to Sabra Harvey at both Cross Country Championships, finishing ahead of McCoubrie at Tallahassee and ahead of Jeanette Groesz, 68, in Lexington KY. Groesz is entered here and is favored for the podium. She and McCoubrie should be close; both were within a percentage point of Strange in their respective races. Swan was further back in those two XC races but she may be one of those runners who prefer the roads to the turf. OVERALL CHAMPIONSHIP. The top women returning from last year are Athena Track Club teammates, Marisa Sutera Strange, Doreen McCoubrie, and Mary Swan, who took 3rd - 5th in 29:56, 31:09, and 31:55. 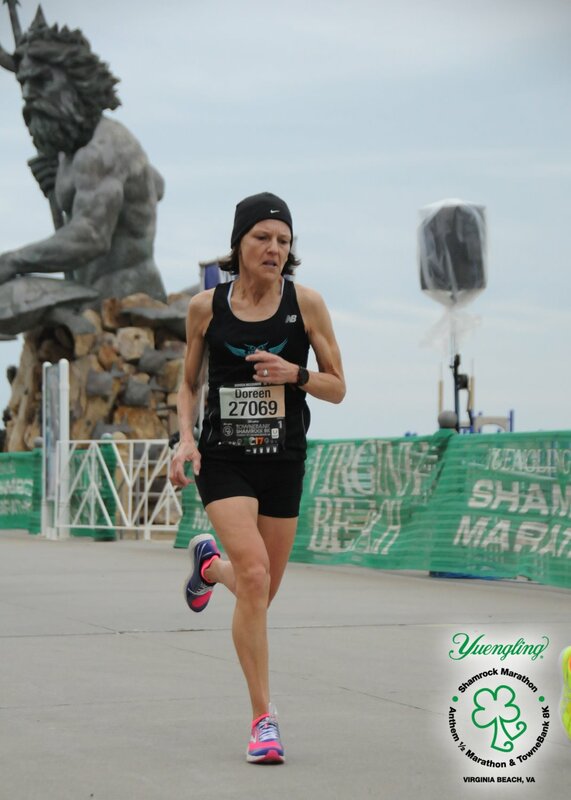 The runner who seems most likely to challenge is Heather Webster of the Genesee Valley Harriers. 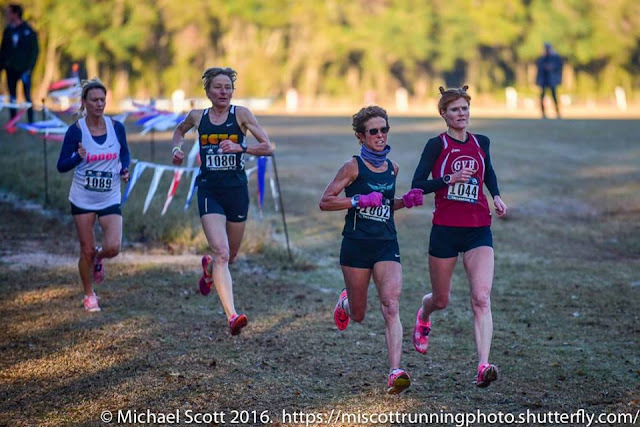 She finished 6th overall at the 10K in Dedham in 38:32 and finished 3rd overall at the 2016 Club Cross Country Championships in Tallahassee, coming in just ahead of Strange. 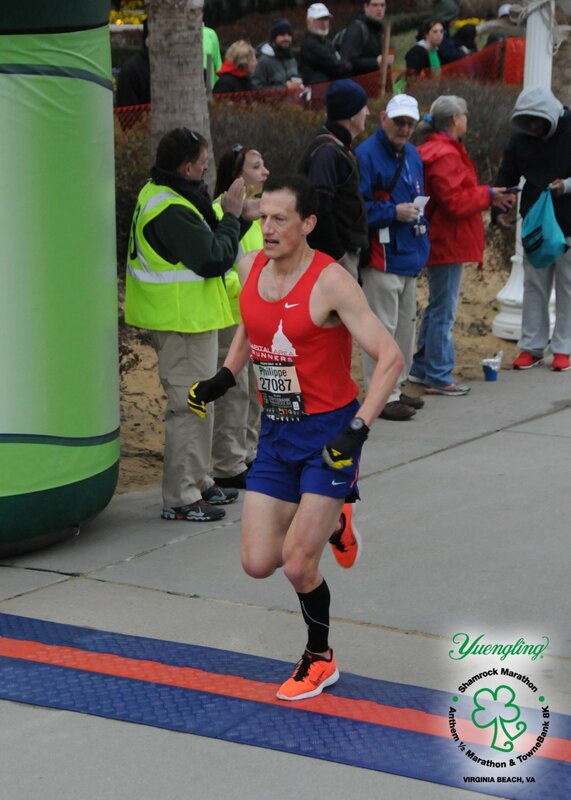 The top returning men from last year are David Angell, from the Roanoke Valley Elite and his Northern Virginia rival, Philippe Rolly, of the Capital Area Runners. They finished 1-2 last year in 25:24 and 25:51. Angell also took the Overall title at the 10K national championship and made the podium at almost every other Championship in 2017.He won the Masters Grand Prix Individual title handily. 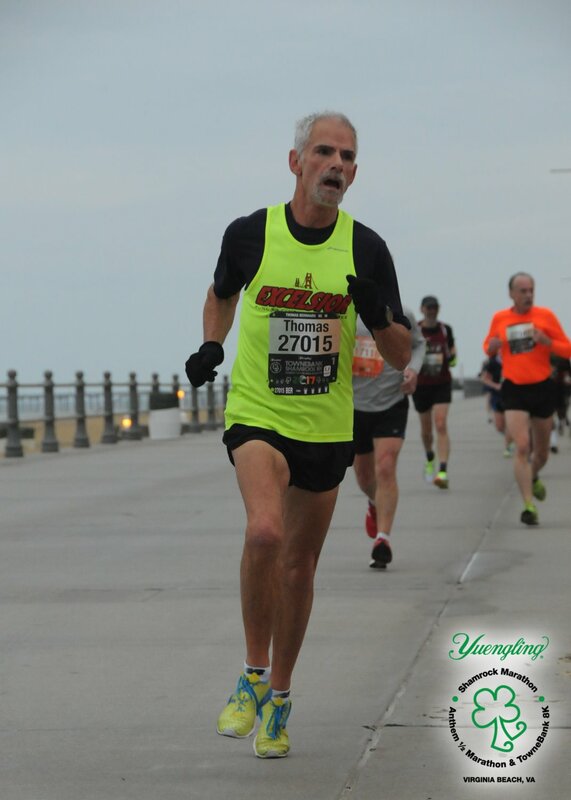 Since their race last year, Rolly has won the Masters title at the Bank of America Chicago Marathon in 2:34:29. Seven weeks after that, Jonathan Frieder was able to come in 18 seconds ahead of Rolly in the Rothman 8K in Philadelphia. Was that due to Rolly still having the Marathon in his legs or is it a sign that Frieder has the upper hand? We shall see. And Jonathan’s twin brother, Elliott, was able to beat Jonathan at the USATF XC at Tallahassee but he has not yet beat Jonathan on the roads. So that is another wrinkle to watch out for. Nat Larson was also able to come in ahead of Rolly in Philadelphia, but not Frieder. So, is Larson in the mix too? And what of Larson’s hamstring tweak? And if Larson is in the mix, what about his teammate, Kent Lemme, who was able to kick away from Larson at the USATF XC Championship in Tallahassee in early February? Both Lemme and Larson came in ahead of Angell at the XC championship in Tallahassee. 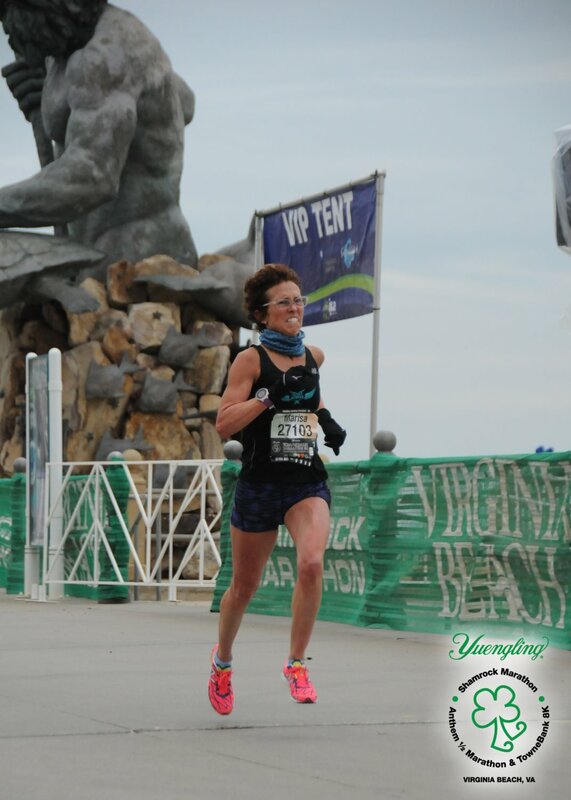 But Angell had suffered a freak knee injury a few days before the race and was running with KT Tape. My guess is that he has largely recovered 6 weeks later. It should be a great day for racing!